Thanks to Web Master Timmy we have some Google Analytics on ScooterSwag and I just find them fascinating. For instance, we average about 5,000 visitors a month from over 121 countries. That just blew my mind. So thanks for visiting Swagsters. 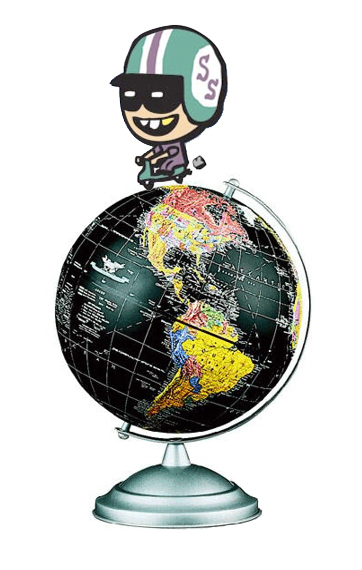 And be sure to send us photos of Swag from your part of the world to tips (at) scooterswag.com. This entry was posted in Miscellaneous and tagged international, lambretta, scooter, scooterswag, vespa by Tracy. Bookmark the permalink.